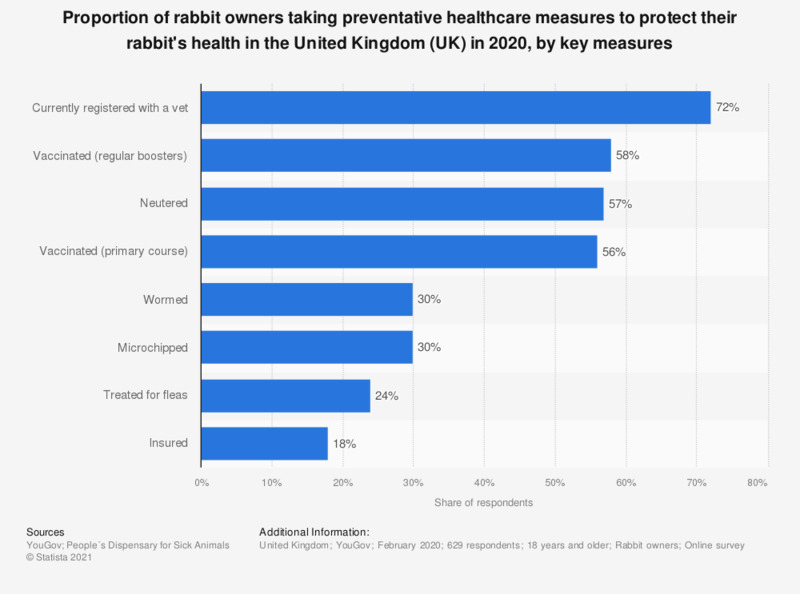 The statistic shows the proportion of rabbit owners carrying out measures to protect their rabbits' health in the United Kingdom by measure in 2018. According to the survey, 66 percent of rabbits owned in the UK are currently registered with a vet. How do you decide how much to feed your cat?